For a new Infiniti vehicle in Montreal, or for Infiniti after-sales services, you can trust Spinelli Infiniti. 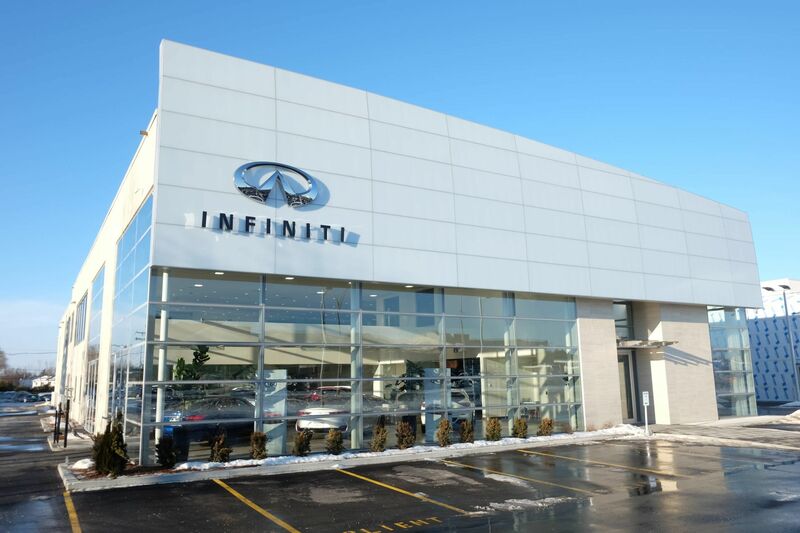 Located at 345 Brunswick Boulevard in Pointe-Claire, Spinelli Infiniti is your dealer of choice for the purchase and maintenance of your Infiniti vehicle. At Spinelli Infiniti, you will find a complete collection of new Infiniti vehicles like the new Infiniti Q50 and Q60, as well as the popular and versatile QX60. You can also choose from our large selection of Infiniti QX30 and QX80 models. Better yet, at Spinelli Infiniti, we believe it’s important to offer our customers a level of service that is up to par with the vehicles you find in our dealership. That's why you will always be treated with respect, courtesy and honesty at Spinelli Infiniti in Montreal. This also applies to our pre-owned vehicle department where you will find a large selection of high quality pre-owned vehicles that have all been inspected and certified to ensure their reliability. We also offer a wide range of after-sales services, as well as several exclusive loyalty programs such as My Spinelli as well as our Express Service. For more information on new Infiniti vehicles and our after-sales services, contact us today by phone or by using our online contact form.